Nene and her two children. 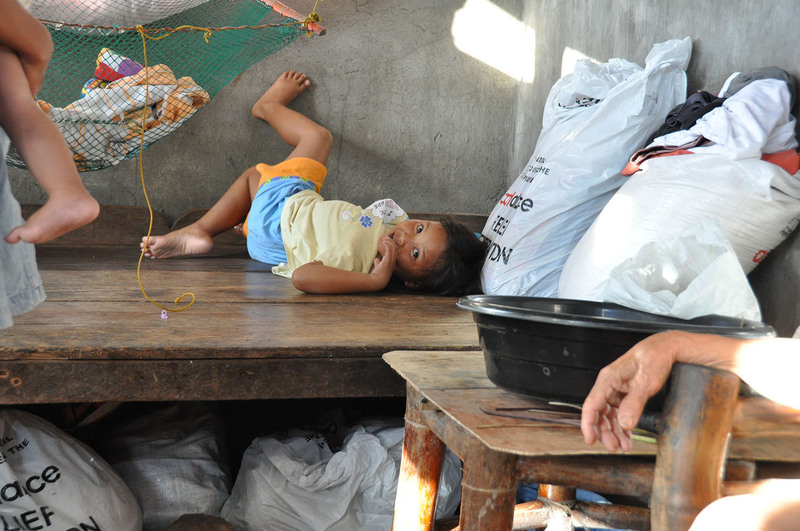 Nene Guiuan was trapped inside her home when the typhoon struck. A coconut tree had fallen on the roof, so there was no choice but for her family of six to seek shelter under the bed and wait out the storm. The wind was incredible and the water rose up several feet at its greatest height. 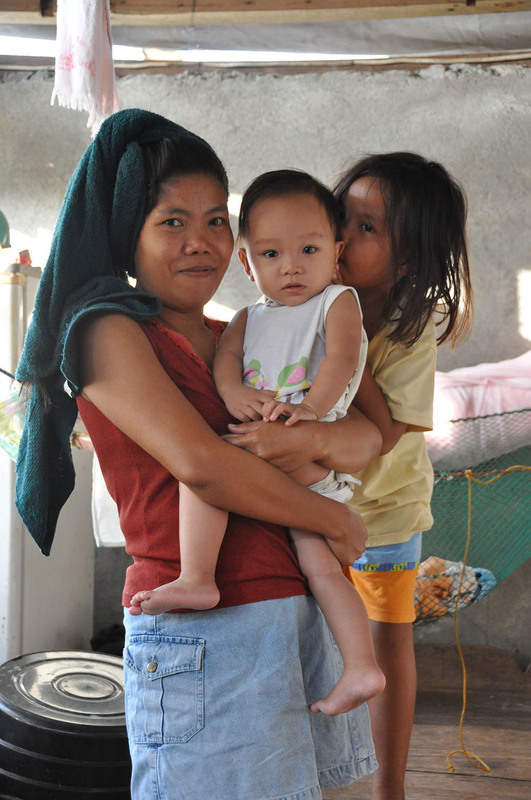 Nene and her family live in Marabut in Samar province, an area hard hit by Typhoon Haiyan. While only one life was taken in the area, most families lost almost every possession they owned. Homes, food, clothing and livelihoods – nothing was spared. Nene describes feeling helpless, with no hope for the future. While she remembers little of the actual typhoon, she does recall leaving her house in disbelief after the typhoon had passed. She remembers feeling overwhelmed and shocked by what had happened to her community. For three days her family ate waterlogged rice, rationed out because they didn’t know how long it would have to last. “I had hope to live again,” says Nene after receiving desperately needed food assistance. Fear was replaced with hope for Nene and her family once relief packages started arriving in Marabut. Presbyterian World Service & Development has supported the ACT Alliance in distributing emergency food and non-food items in the immediate aftermath of the typhoon. “I had hope to live again,” says Nene once her family received the desperately needed food, sleeping materials, kitchen implements and hygiene kits.